UPPER EAST SIDE — Long before Tuesday's blast from the Second Avenue subway shattered some windows at a gallery bordering the construction site at East 72nd Street, the daily dynamiting shattered the peace of many residents' lives. It's rattled their nerves, interrupted their sleep, affected their health and damaged the local economy, residents have said. The sight of stones and rubble was unusual and alarming for many on Tuesday, but Upper East Siders have long railed against the MTA's mega-project damaging their quality of life with noise, dust and noxious odors. "They've been telling us it's safe and nothing is going to happen, but this was a real close call," said Carol Cusa, who has lived in the area for 36 years on the fourth floor above Kolb Art. On Tuesday, the gallery had three windows shattered and vases damaged. 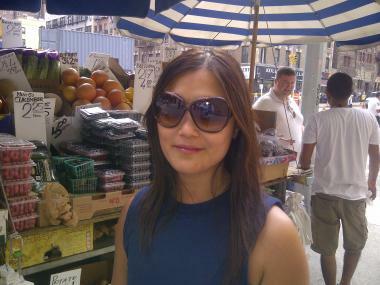 Claire Cabaron, 37, a product development director, said the blasting has been disrupting her life for two years. "I listen to this all day long. It has been excruciating," said Cusa, a real estate agent who sometimes works from home. "Even crossing the street is horrible." Residents near the station being built at East 72nd Street said they would get covered in muck at the 72nd Street crosswalk. They said the dirt coming into their apartments would form thick layers on windowsills and furniture. Homes would shake regularly — even at night during drilling, residents said. A slew of businesses closed down in the path of the construction. "It feels like the icing on the cake for a lot of these people," City Councilman Dan Garodnick said after Tuesday's incident. "Unfortunately, today's event gives them an appropriate cause for alarm." Many blamed the construction for chronic coughs, asthma and other ailments they've seen develop in themselves — and their dogs. People with similar symptoms have dubbed it the "Second Avenue subway cough," an unscientific term that has gained currency in the neighborhood. "The construction and the noise is too much," said Claire Cabaron, 37, a product development director. She said since the blasting started more than a year ago, she has caught 15 mice in her apartment. Just last week, she noticed two more. "Sometimes in the middle of the night you feel the building shaking, and I think it's an earthquake," she said. "It's causing businesses to close, businesses that you were used to." There have also been a few worksite problems. The Occupational Health & Safety Administration issued $8,500 in fines in March for "serious" violations to a contractor on a job under East 69th Street when a worker's ill-fitting respirator exposed him to dangerous levels of silica. OSHA was back at the site in April inspecting conditions after a construction worker was seriously injured in a utility trench at East 86th Street after a slab of concrete or roadway fell on him. Residents' health complaints forced the MTA to respond by testing the air quality. The transit agency, however, found there were no pollutants to worry about and, this summer, began posting air quality monitoring data from 10 locations between East 63rd to 96th streets to allay residents' concerns. 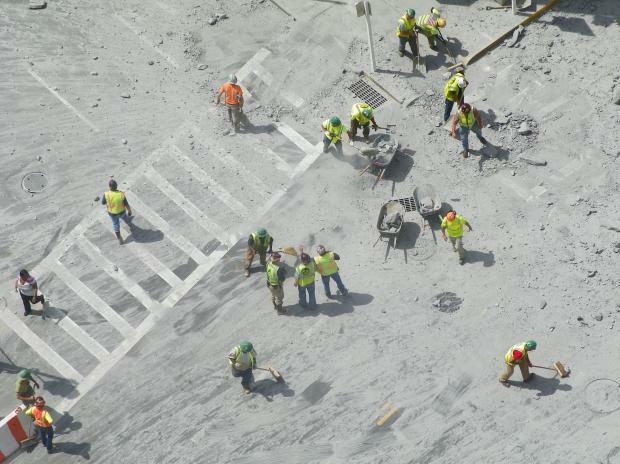 When people noticed an increase of dust in the area — after the MTA promised to stop blasting past 7 p.m. and then were doing more blasts simultaneously — transit officials said they took steps to minimize the dirt workers were digging up around 72nd Street. The complaints about late drilling inspired the MTA to visit residents in the later hours to hear — and feel — for themselves what's going on late at night and try to find ways to mitigate the problems. 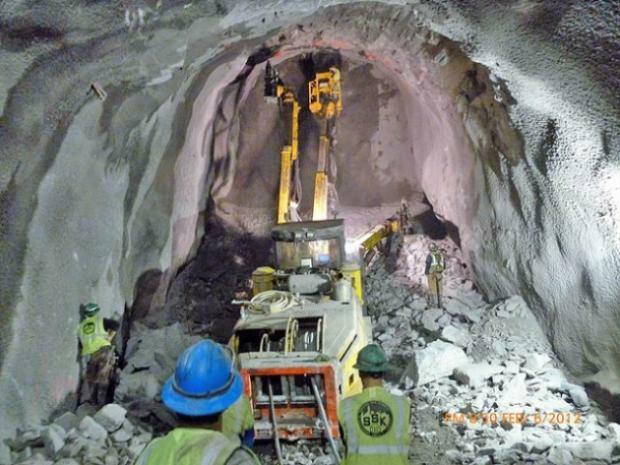 When the MTA began blasting for the station at East 86th Street this summer, they took lessons learned at East 72nd Street in attempts to keep the dust down from the get-go at the muck house (the massive structure where workers process the dirt that has been dug up for the subway). But residents have been complaining about the blasting and drilling there, too. Carabon, like many in the area, feel it will be worth it in the end. It's just that the end seems so far away. "No doubt it will be worth it," she said, "but people want that instant gratification. They want it now." The new subway line is expected to carry more than 200,000 passengers every day, officials said.